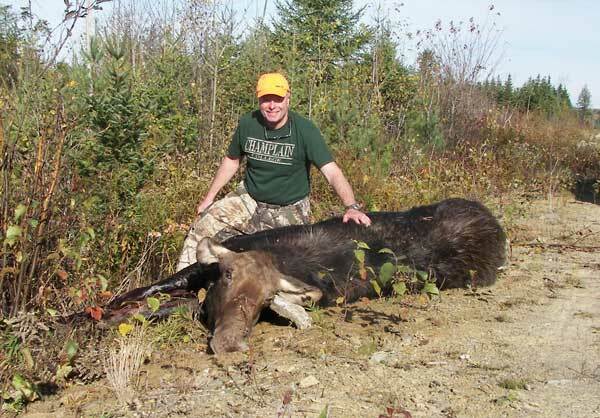 The Maine Moose hunt is a once in a lifetime opportunity. 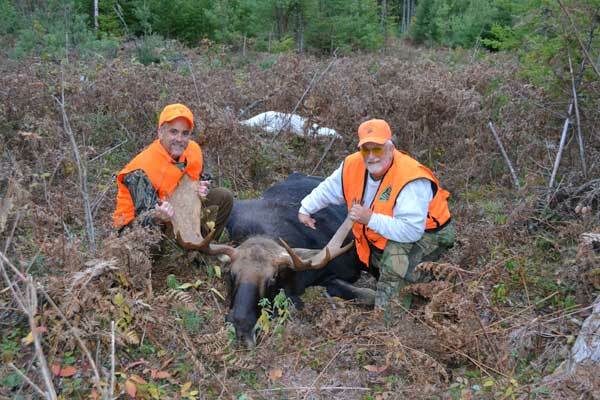 We understand how long some of you have waited and we aim to make your moose hunt an exciting adventure. 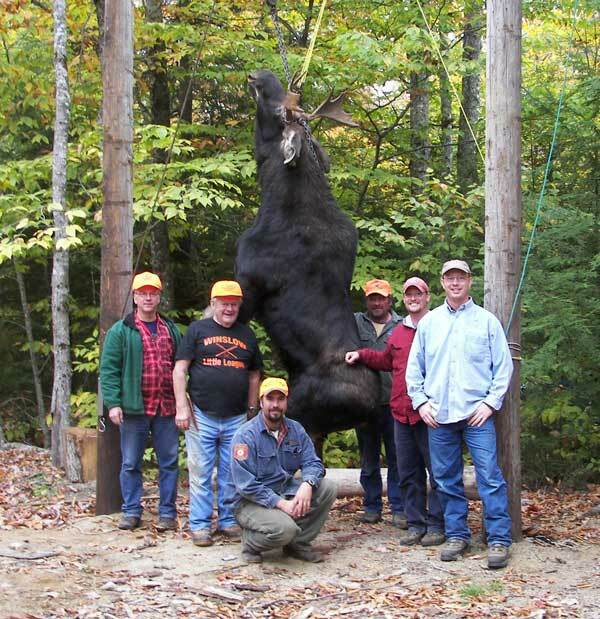 Maine Moose hunting is considered to be world class. 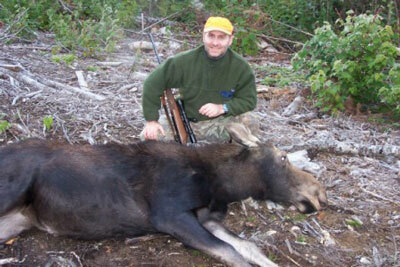 In Maine, moose hunters are chosen by lottery only. Eagle Lodge hunts locations: Zones 10, 11, 18, and 19. 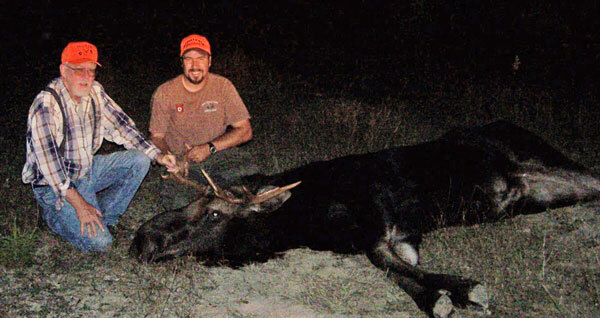 We offer personalized hunts, both in the type of weapon you choose and the size of animal you are looking for. 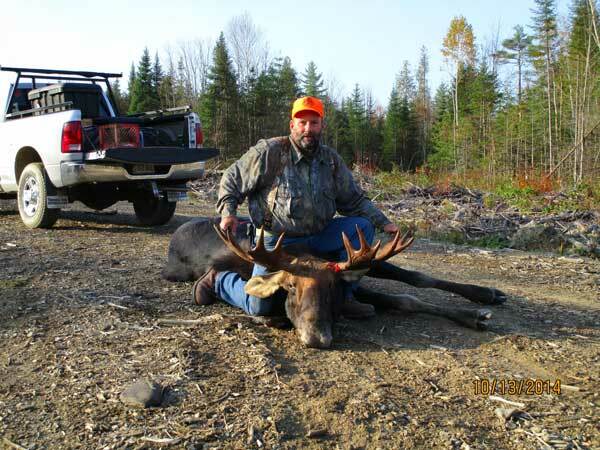 The Moose Hunts are six days, seven nights with all meals included. Don't forget plenty of film and video! As your guide, we will locate a moose and set you up accordingly. 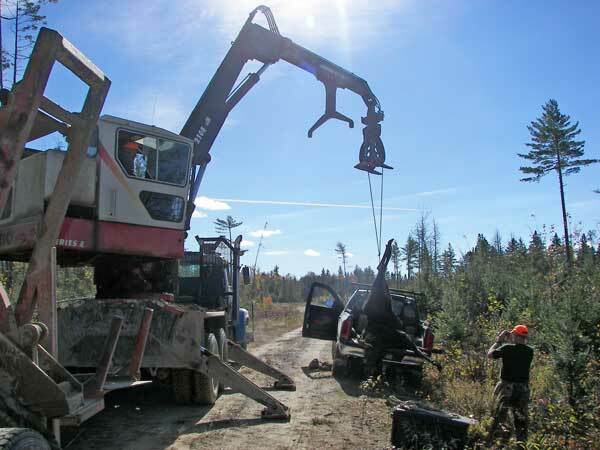 Since the week of moose season coincides with the rut, one method we use for bulls is "calling". This method is very effective. Bulls can be as large as 1100 lbs. with 60" spreads so this hunt will be one to remember. Your guide will dress the animal and get it out of the woods for you. Please visit www.mefishwildlife.com for information regarding the application and zone details.